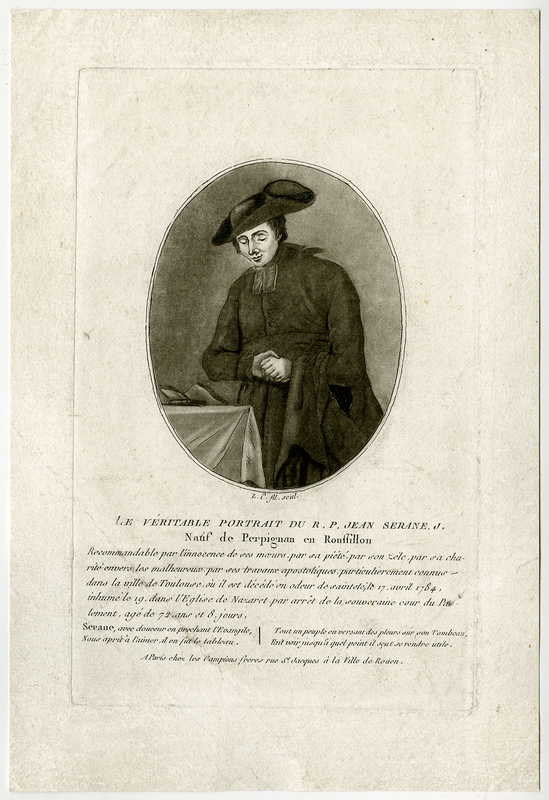 Subject: Antique Master Print, titled: 'Le veritable portrait du R. P. Jean Serane.' - Portrait of the preacher Jean Serane active in Toulouse. Condition: fair, given age. Ample margins, large fold lower leftcorner. General age-related toning and/or occasional minor defects from handling. Please study scan carefully. Medium: Etching & roulette on hand laid paper. Size (in cm): The overall size is ca. 18.5 x 27 cm. The image size is ca. 13.6 x 21.5 cm. Size (in inch): The overall size is ca. 7.3 x 10.6 inch. The image size is ca. 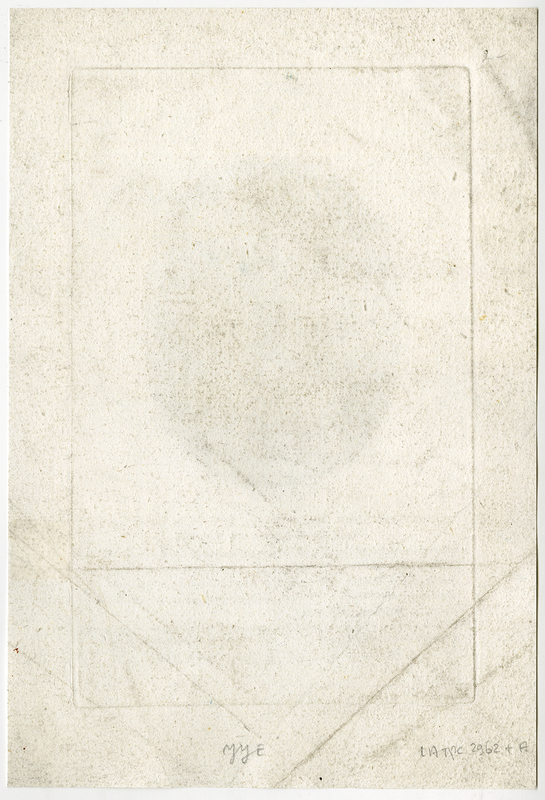 5.4 x 8.5 inch. Description: Published by Campion brothers in Paris. Artists and Engravers: Made by 'L. Campion?' after own design. Probably made by L. Campion, who was active in Paris in the late 18th. Century.